This layout was created for the Use it or Lose it Challenge. The challenge this time is Paper Piecing. I used to do paper piecing all the time. It’s a lot easier now that we have the Cricut but I still just haven’t used this technique much. It is a bit time consuming but always worth it in the end. 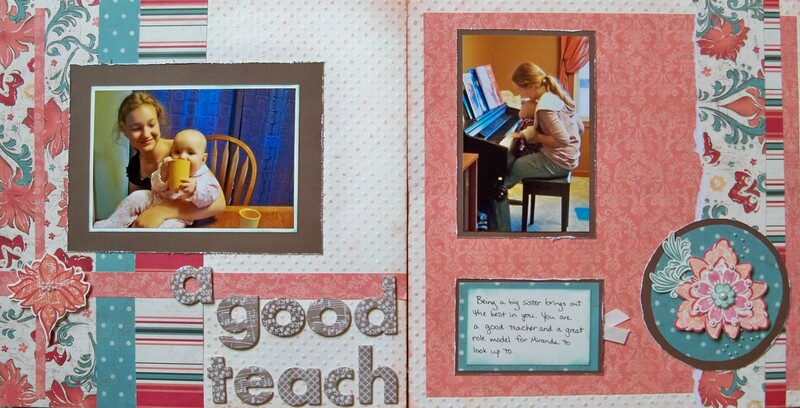 For my layout I pieced together some stamped images as you can see in the closeup picture above. My base was created using an image from the Life’s Creation stamp set (retired). 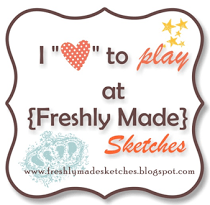 I stamped and cut out the image 3 times and placed them in a circle. My next layer is a flower from the Sweet Home Workshop-On-The-Go stamp set (retired) and the top flower is from Life’s Creation. 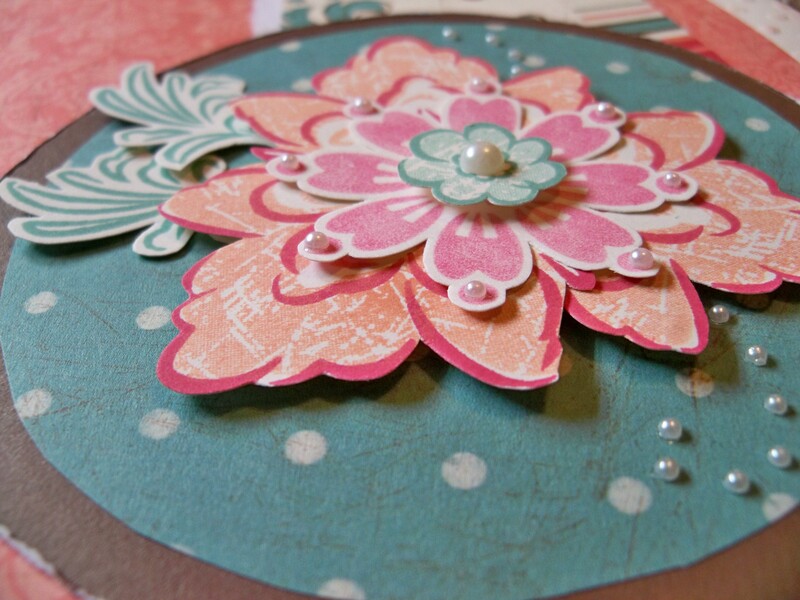 Paper piecings look even more amazing if you add some type of embellishment to them like I did with the Opaque Pearls. Supplies used are all CTMH unless otherwise noted: paper, Life’s Creation stamp set (retired), Sweet Home stamp set (retired), Colonial White Ribbon, Opaques Pearl Adhesive Gems, Irresistibles Eclectic Chipboard Die-Cuts Alphabet, Chocolate/Juniper/Tulip/Sunset inks, and Zig marker. The layout was one I received in a swap at convention a couple years ago, created by Anna Peterson. I added the title, journaling, and stamped embellishments. To join in on this challenge visit Use it or Lose it Challenge.